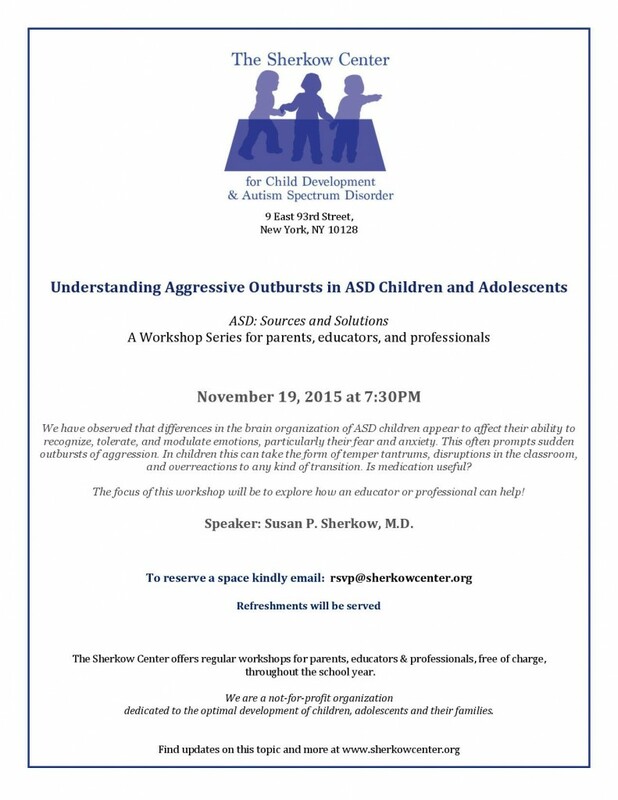 Attend our Nov. 19 Workshop! What: This is a continuation of our last workshop, and will focus particularly on the demographic of younger children and outbursts of aggression. We have observed that differences in the brain organization of ASD children appear to affect their ability to recognize, tolerate, and modulate emotions, particularly their fear and anxiety. This often prompts sudden outbursts of aggression. In children this can take the form of temper tantrums, disruptions in the classroom, and overreactions to any kind of transition. Is medication useful? The focus of this workshop will be to explore how an educator or professional can help! All are welcome to attend this series of workshops presented by Dr Sherkow. 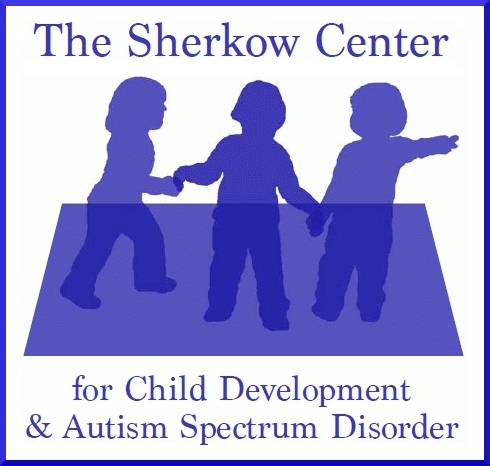 The Sherkow Center offers regular workshops for parents, educators & professionals, free of charge, throughout the school year.